PIKETON, Ohio – On Dec. 27, United Steelworkers’ (USW) Women of Steel donated $400 to the Pike County Outreach Council Food Pantry in Waverly, Ohio. Approximately 1,000 families a month are given food from the pantry’s shelves. The United SteelWorkers (USW) Women of Steel donated $400 to the Pike County Outreach Council Food Pantry in Waverly (shown above). 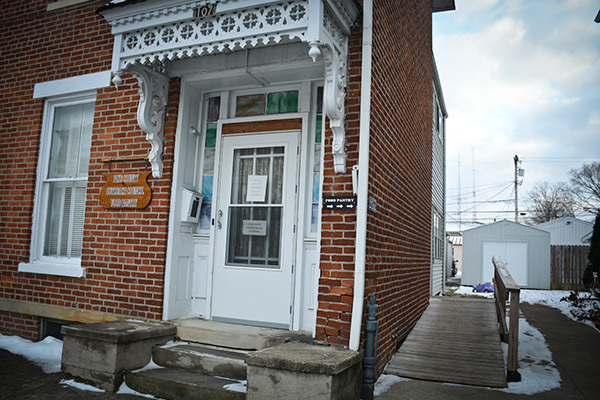 The pantry, which was formed by local churches in Waverly in 1968, began operating its facility at 107 2nd Street in Waverly. Six days a week, volunteers at the pantry distribute some of life’s necessities to the needy. More than 10 volunteers staff the facility and approximately 319,000 pounds of food was distributed by the pantry to area residents in 2017. Recipients are referred by area churches and social service agencies such as First Presbyterian Church, St. Mary’s Catholic Church, and the Recovery Council. There are several ways to send donations to the Pike County Outreach Council, in person/by mail (107 W. Second Street, Waverly, Ohio 45690) or online (http://www.pikecountyoutreach.com). Additional online options include donating 5 percent of your Amazon purchases by going to http://smile.amazon.com and choosing "Pike County Outreach Council” as your charity of choice or setting up your Kroger Rewards Card to donate to the Pike County Outreach Council by going to http://krogercommunityrewards.com and selecting "80570".